WHERE: Bayview Avenue, north of Eglinton Avenue. 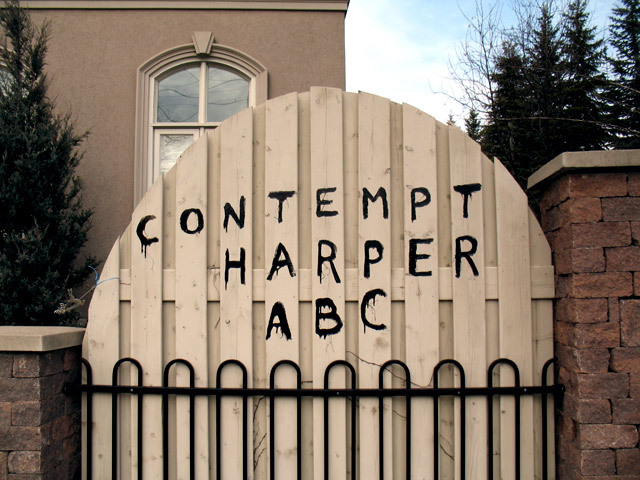 WHAT: One North Toronto voter’s public commentary on the federal election. The message appears to resurrect the “Anything But Conservative” campaign backed by former Newfoundland and Labrador Premier Danny Williams during the 2008 federal race. We suspect that the author won’t be allowed to attend any upcoming Conservative rallies.